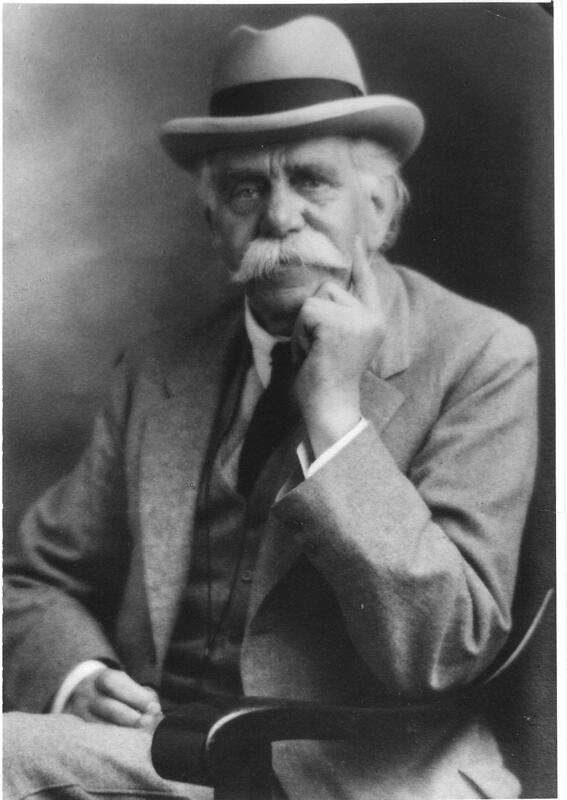 Walter Robert Hadwen was born in Woolwich on 3rd August 1854. He left school at thirteen, having passed his preliminary examination for entrance into the Pharmaceutical Society. In 1872, at the age of eighteen, he moved to London where he had obtained a post at a pharmacy in Bedford Square. In due course he moved to Reading to join his parents, where a chemist needed an assistant and was happy to help him study. This allowed him to go to London to the Pharmaceutical College for a few weeks before sitting the final examination. This he sat and passed in 1876 at the age of twenty-two. It was in Reading that he began his evangelistic work, teaching and preaching, and as a by-product of his preaching, he became a great orator. In 1878 Walter moved to Highbridge, Somerset, where he had purchased a wholesale and retail pharmacy business. The business was soon a flourishing concern, and there was great activity, especially on market days, when he treated all and sundry, and sometimes even their animals. After ten years in Highbridge, Walter began to study medicine. He then sold his business and started to practice medicine, moving to Gloucester in 1896. It was here, Dr Hadwen was led into the antivivisection movement. The British Union for the Abolition of Vivisection (BUAV, now Cruelty Free International) was founded in 1898 by Miss Frances Power Cobbe. She invited Dr Hadwen to speak, knowing his power as an orator. This began his exhaustive research into the history of medicine in relation to experiments on animals, reaching the conclusion that led him, heart and soul, into the antivivisection crusade. Following the death of Miss Cobbe, Dr Hadwen became its practical head and later its President. He addressed meetings in different parts of the country, and the audiences were amazed at his mastery of the facts and his power of oratory. For 36 years Dr Hadwen was a general practitioner in Gloucester. As a physician Dr Hadwen was naturally very skilled, and few people could have been more conscientious and caring. He was not only a good physician but was always aware of the human needs of his patients and their families. In 1932, while still in active practice at 78, he had a severe heart attack and died peacefully. The funeral procession passed streets lined with hundreds of people standing with heads bowed to pay their last respects to their beloved Dr Hadwen of Gloucester.